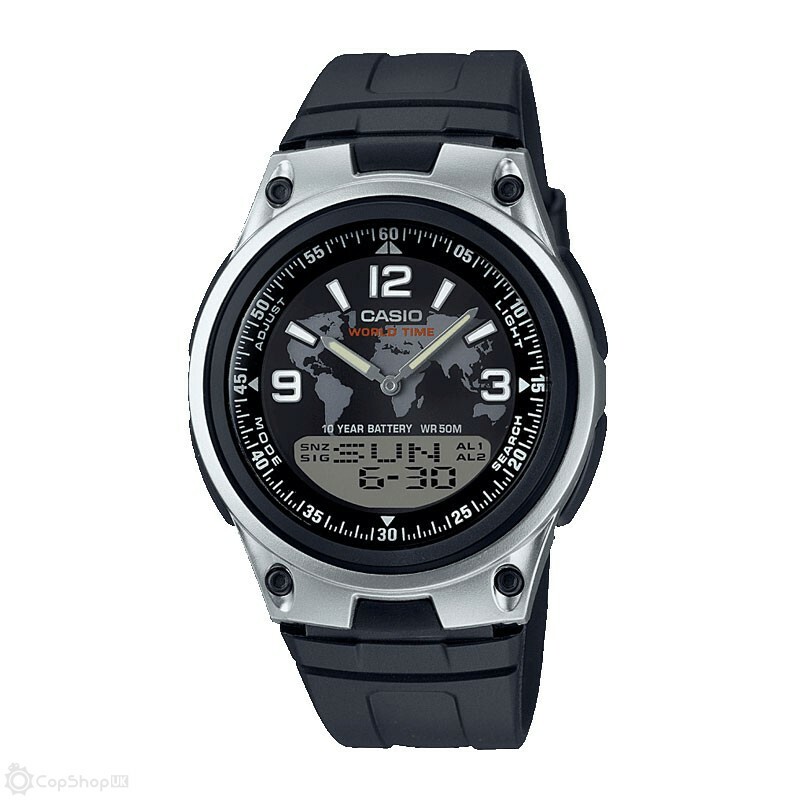 Casio collection AW-80 series features World Time for 30 cities, Auto Calendar, 50M Water Resistance and an impressive 10-Year extended battery life. The Telememo-30 feature of this model allows up to 30 data records of names and telephone numbers to be stored in the watch. Telememo: 30 Pages Built-in memory provides storage for names and telephone numbers. The value indicates the max number of entries that can be stored.